Do you want to be on XCPD? As part of the Die Laughing 50-hour live comedy marathon this weekend, we are auctioning off a guest appearance on Xanadu Cinema Pleasure Dome! 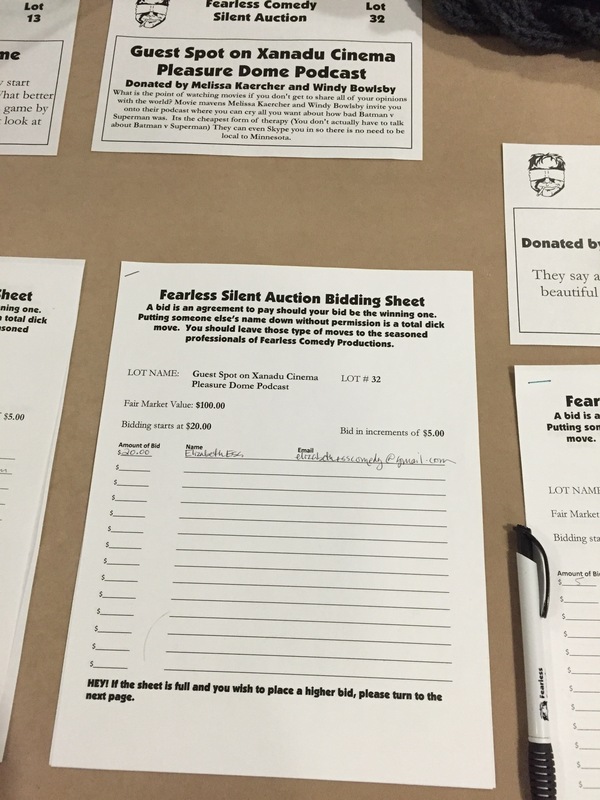 Bids are being taken in person at the silent auction at Die Laughing. However, if you are not in Minnesota this weekend, Die Laughing has been known to take bids by proxy in the past. Money generated will help fund Fearless Comedy Productions, a non-profit theater production company that supports stage shows, podcasts, and other comedic endeavors in Minnesota. That’s right… you can buy a spot on XCPD AND you can you can write it off on your taxes! So, if you want to bid, visit Die Laughing this weekend, or talk to somebody who is already there, or contact the event directly. Let’s help fund Fearless Comedy for another great year!